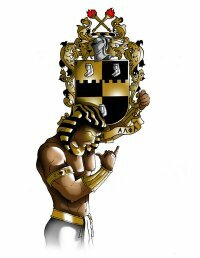 Membership - Alpha Phi Alpha Fraternity Inc. Membership into Alpha Phi Alpha, Fraternity, Inc. is a lifelong committment and is not a decision that should be taken lightly. In order to become a member of this organization, there are specific procedures that must be adhered to and followed. To learn about these procedures, please visit our National Website section on Membership, which can be found here. To get specific information pertaining to seeking membership in Alpha Phi Alpha, Fraternity, Inc. through the Pi Upsilon Lambda Chapter, please direct all inquiries to our Chapter Dean of Membership Development at info@pul1906.org. Thank You. For Brothers looking to get back active within a local chapter, the Pi Upsilon Lambda Chapter welcomes you and would encourage any Brother to come and check us out. To obtain further information, we encourage you to check out our calendar of events on this website and should you need further information, please contact our Reclamation Chairman at info@pul1906.org . Thank You.